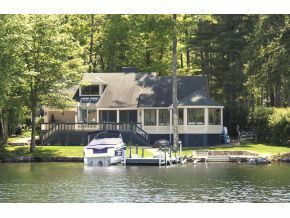 Turnkey Lake Winnipesaukee Waterfront Home located in South Wolfeboro Bay. This large bay is one of the best locations on the lake due to less boat through traffic, quick access to Downtown and you only have to go through downtown when you want to. 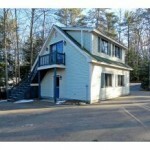 Nicely landscaped level lot with a perched beach, sandy bottom and over-sized crib dock. The home has a first floor master, patio, fireplace, two car detached garage with a room above, lake side deck and a nicely appointed kitchen with Corian counter-tops. You do not find nice move-in condition homes, in this price range, in Wolfeboro often. Listed by Prudential Spencer-Hughes. 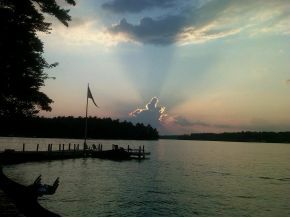 Wolfeboro is a four season destination. 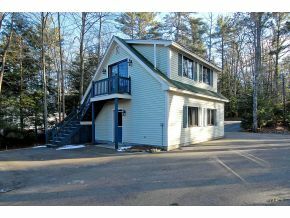 Golf courses in town and Gunstock Ski Area right down the road. You can boat or snowmobile to restaurants at ports around the lake. 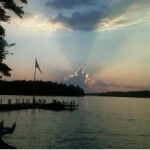 Winnipesaukee is 42,000 acres of boating paradise.